GET YOUR VALENTINE'S GIFT CARD ONLINE OR IN PERSON. I am thrilled that you have found me. Since a child, I have loved giving massages to my mother. I loved how it transformed her from being stressed out and moody to a very loving and playful mom. (I thought I had super powers! :) When I was in high school, I wanted to be a physical therapist and volunteered to help the athletic trainer warm up baseball players' shoulders before their games, tape the football players' ankles, and of course I asked a zillion questions about how the body worked and what the most effective ways were to recover from and prevent injuries. Now that I am a licensed and insured Swedish Massage Therapist, I am still able to help people feel good in their bodies again. Many people come to me with pain that just won't go away on it's own and I am able to help them walk out of here feeling more relaxed and hopeful that they can overcome their injury or painful musculoskeletal condition. The way our bodies are designed, the way they function, move, heal and repair fascinates me. I have a very intuitive touch and am able to find problem areas quickly. However, simply taking the time to relax and unwind from the hustle and bustle of everyday life can be therapeutic in and of itself. My treatment room is calm and soothing. The soft, subtle scent of the finest essential oils permeate the air and the soothing sounds of calming music play in the background. calmliving7@icloud.com PLEASE EMAIL ME FOR APPOINTMENT OR BOOK ONLINE. I'M HERE TO HELP! Once a collegiate gymnast at Seattle Pacific University and The University of Arizona, I spent many hours in the athletic training room and even worked as a trainer's assistant. As an Exercise and Sports Sciences major, I learned a lot about anatomy, physiology and kinesiology, pre-injury and post-injury care, sports massage, and athletic taping. This personal history and experience led me to my passion! 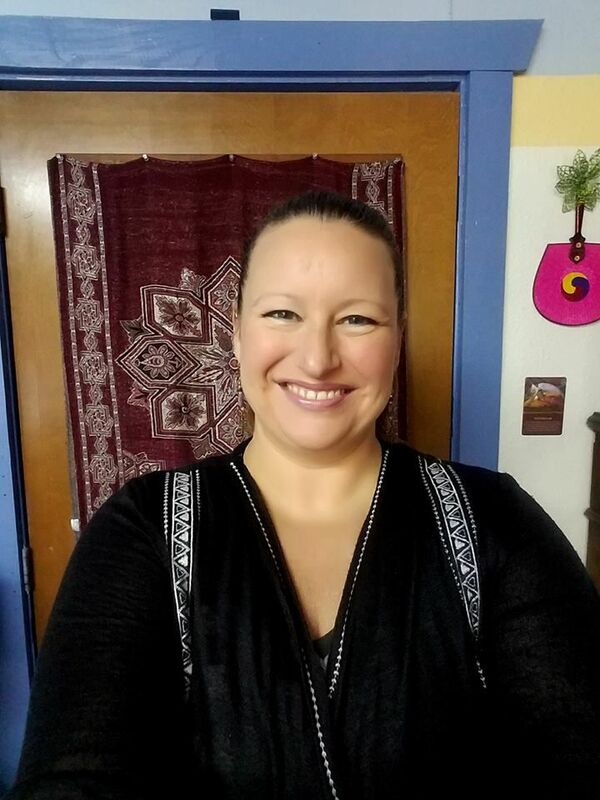 In 2016, I graduated from the Bodymechanics School of Massage and Myotherapy in Tumwater, Washington. I chose to travel 3 hours a day to attend this school because of the advanced teaching and training that I received. The owner, Shari Aldrich, and all of the instructors were incredibly knowledgeable and "on fire" for developing exceptional massage therapists. It was and honor and a privilege to attend this phenomenal school! Working as a massage therapist brings me great joy, and I find it extremely rewarding to help people become free from pain and restrictions. I really enjoy living in the Puget Sound (I recently found a house in Seabeck where I now live) and I love any opportunity to go exploring out on the water. I also enjoy hiking and spending time with my kids and family. My three beautiful children, ranging from middle school to college, keep me busy and on my toes! I strive to teach them to follow their dreams in life, and to never give up.